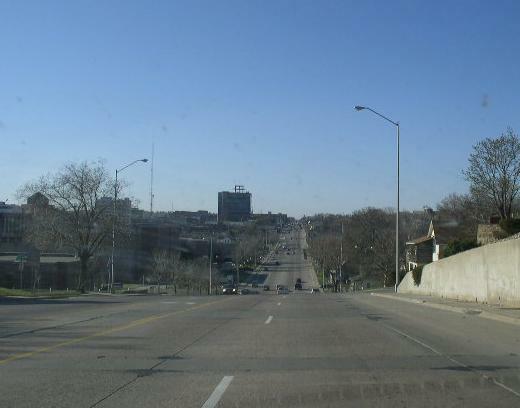 Downtown Spur Interstate 90 runs from Interstate 90 on the northside of Sioux Falls to Downtown Sioux Falls. 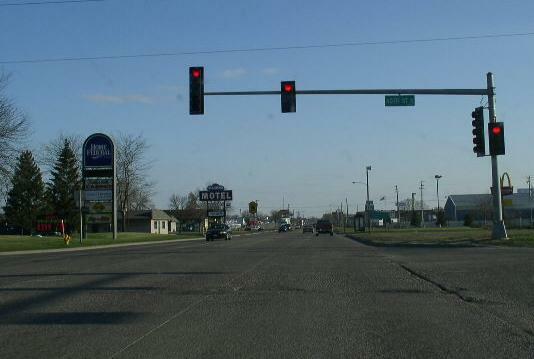 This ends in Downtown Sioux Falls at the 10th & Minnesota, 11th & Minnesota intersections. 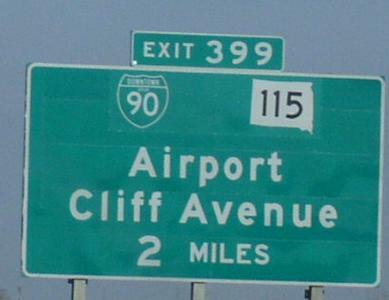 On Cliff Avenue, from Benson Road to I-90, this is signed well. 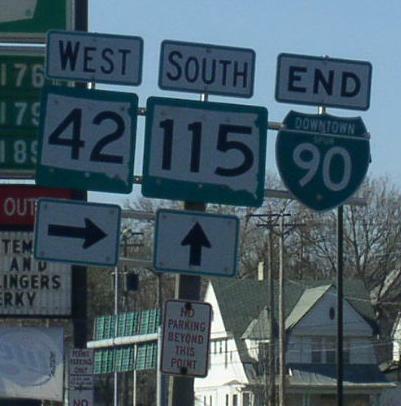 On Benson Road and Minnesota Avenue, this is not signed well. 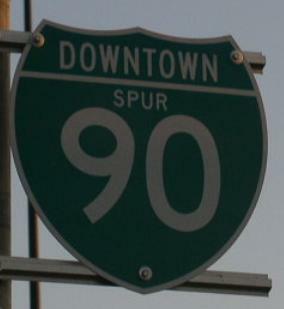 DWTN Spur I-90 passes thorugh the following town in Minnehaha County. DWTN Spur I-90 is multi-plexed in Minnehaha County. 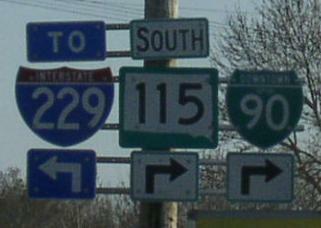 DWTN Spur I-90 intersects the following highways in Minnehaha County. 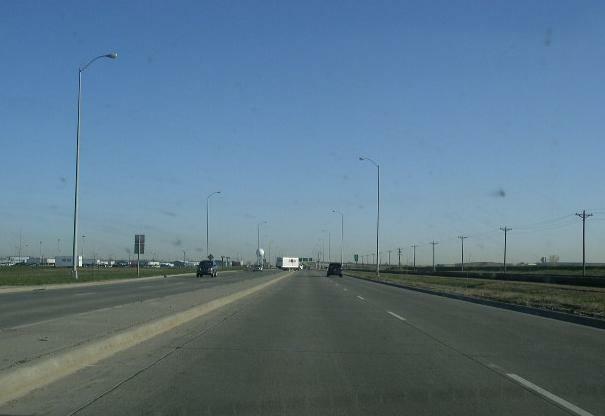 SB DWTN Spur I-90/SD St Rt 115 at 60th Street. 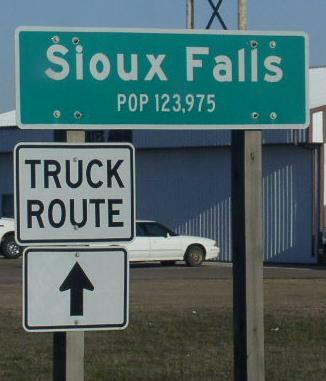 A guide marker on SB DWTN Spur I-90/SD St Rt 115 at Benson Road. 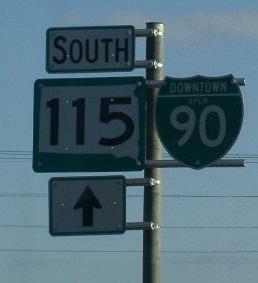 NB DWTN Spur 90/SD St Rt 115 near Joe Foss Field. SB DWTN Spur I-90/SD St Rt 115 overlooking Downtown Sioux Falls.